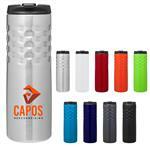 See All of our Custom Coffee Mugs, Travel Mugs, Promotional Sport Bottles, Etched Wine Glasses and More With Your Logo you found the right place. 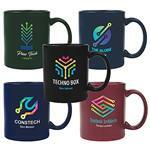 Our custom branded coffee mugs come in a wide variety of coffee-house styles and colors. 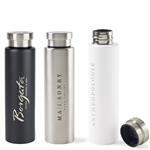 In our custom travel mugs, we have stainless, vacuum insulated, including BPA free options. 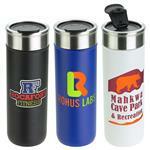 We will print your logo on the mug of your choice, and we know you’ll be pleased with our high quality printing. 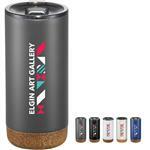 Unlike many other logo mug factories, the printings on our mugs are bright and vivid and often include a wrap around or double sided custom imprint at no additional cost. 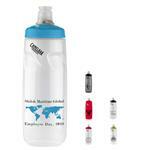 For our custom sport bottles, we carry a variety of options including promotional bike bottles, custom aluminum and stainless steel vacuum insulated bottles and BPA free sport bottles. 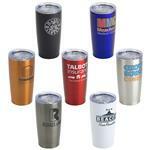 We also carry a variety of custom beer mugs and personalized wine glasses. 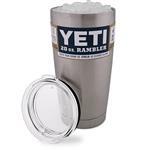 Remember, if you do not see the custom mug or promotional drinkware that you were looking for, call us anytime at 888-332-ADCO (2326). 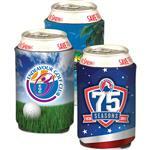 We have a large selection of additional promotional drinkware to choose from. 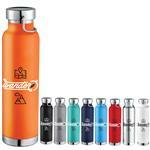 Napa Double Wall Stainless Canteen Vacuum Insulated - 25 Oz.